Preheat oven to 400 degrees. Grease muffin tin or line cups with muffin papers. Combine flour, pecans, and brown sugar in mixing bowl; set aside. In another bowl, beat the egg; stir in milk, butter, and vanilla. Add liquid ingredients all at once to flour mixture. Stir only until flour is moistened. Fill muffin cups 2/3 full. Bake about 15 minutes or until golden brown. Melt the butter first so it gets back to near room temperature before you use it. To get the most flavor from the pecans, toast them in a frying pan until fragrant. Also let those cool before using. If you don't have self-rising flour, you can use the same amount of all-purpose flour with 2 teaspoons of baking powder and 3/4 teaspoon salt mixed into it. 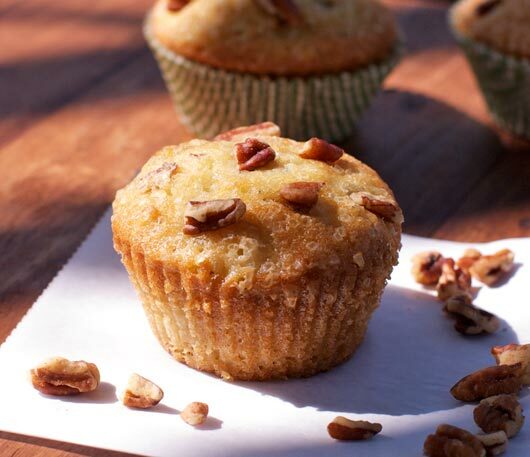 The ingredients are simple but the flavor of the finished muffins is wonderful. 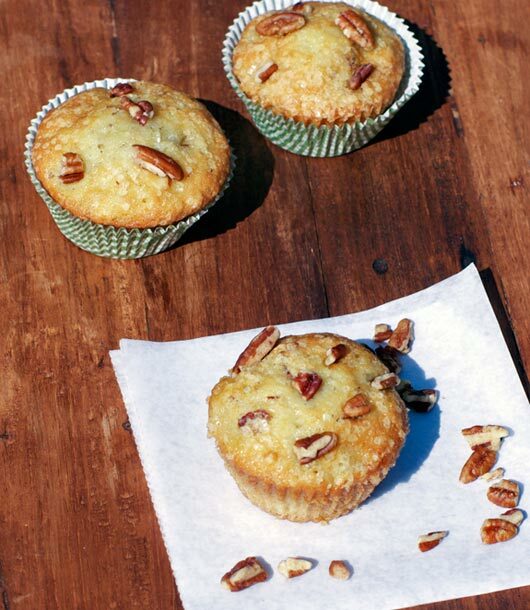 Pecans and butter were meant to be together. Recipe number 666. Submitted 9/17/2002.